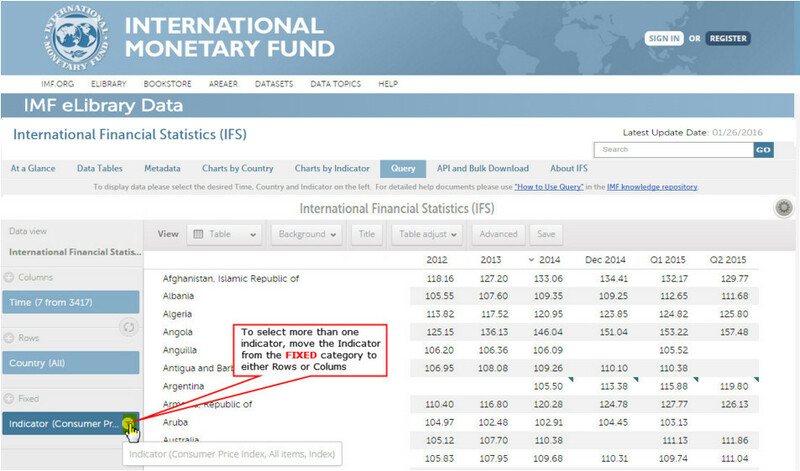 On left side, under the �Data View� pane, place your cursor over the �Indicator attribute. Click on the filter icon as shown below. If applicable, deselect all pre-selected indicator (s) by clicking on 'None'. Attribute: gives users the ability to change the presentation of data according to listed choices – for example, indicator code, descriptor etc. Users are able to select the indicator list with a presentation or code that they wish to display. 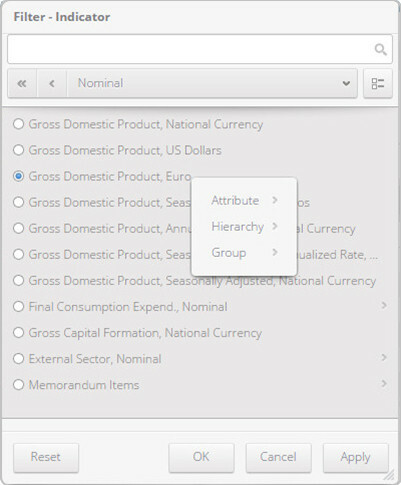 Hierarchy: provides a list of predetermined grouping of indicators organized by hierarchy and specific to a dataset. Groups: provides a list of predetermined grouping of indicators which are specific to a dataset. Scroll through the Indicator list within the indicator filter and check/filled-in the spaces to indicate selection. Once all desired indicator(s) get selected, click on APPLY and OK.
Use the search box to quickly find indicators.